Lockheed Martin will offer its new SkyLine Enterprise air traffic management (ATM) platform for the new oneSky Australia air traffic system being procured by Airservices and the Department of Defence. 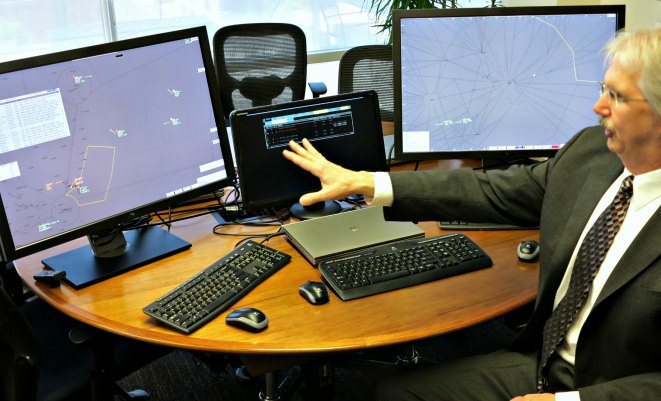 oneSky, which seeks to combine civil and military operations into a single air traffic management solution, is planned to be fully operational by 2020. The components of SkyLine Enterprise offer a flexible array of air traffic management capabilities that were developed with Australian firm Adacel. The tools are supported by a flight data processing system that enables airspace users to fly preferred routes. The system also complements the move by Airservices to improve airspace efficiency and airline on-time performance through collaborative decision-making and dynamic modelling. It is also compatible with ADS-B processing technology. SkyLine Enterprise uses software operating at 38 enroute centres, 121 approach control facilities and four oceanic and procedural facilities that together represent around 60 per cent of all air traffic. Announcing the offering of the system to the oneSky Australia procurement, Lockheed Martin vice president transportation solutions Sandy Samuel said: “After more than 50 years of air traffic management experience, Lockheed Martin begins the next chapter by making SkyLine Enterprise available to the Australian and international air traffic management communities.